ecosystems, plant and animal species, features and phenomena. The key goal of ecological reserves is to contribute to the maintenance of biological diversity and the protection of genetic materials. All consumptive resource uses and the use of motorized vehicles are prohib ited. 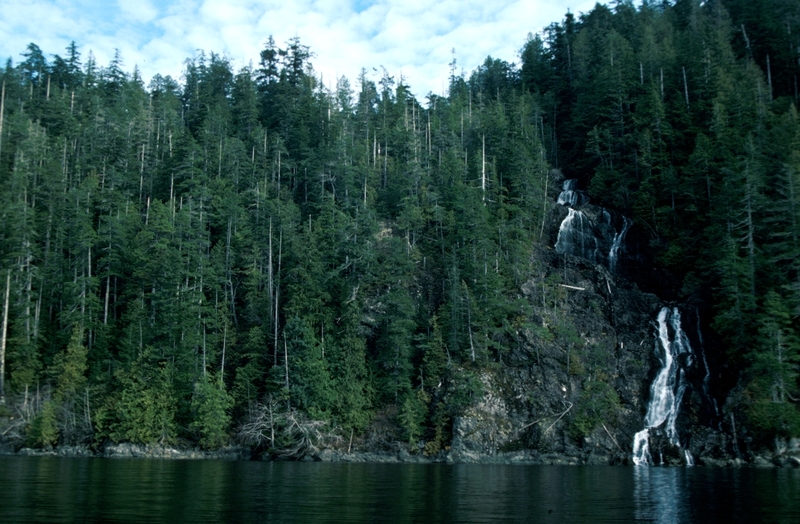 The primary role of Nitinat Lake Ecological Reserve is to preserve Douglas fir trees near their westernmost limit of distribution on southern Vancouver Island. It extends for about 2.5 kilometres along the Nitinat Lake shoreline and 300 metres inland, and comprises a mix of steep slopes, rocky outcrops, bluffs and talus. steep rocky cliffs with nesting habitat for ducks and songbirds. The co-occurrence of Douglas fir and Sitka spruce on very steep slopes makes this habitat unique. representative portion of the Windward Island Mountains. See the rest of the full PDF here:nitinat_ps for Man agement .